‘Winnie the Pooh’ is something that most kids would instantly associate being a saffron-yellow tub of lard bear in an under sized red T-shirt, seen in the Disney series based on AA. 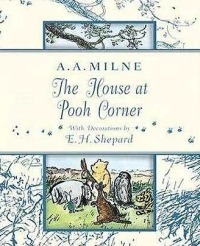 Milne’s book about a bear who loves to eat honey but has little brains. The newest Disney series in the offering is called ‘My friends Tigger and Pooh’ complete with a lovely theme song and characters that would be unknown to Milne. If you go by my opinion then I’m not impressed with the latest series. Pooh, Tigger and Piglet are certainly not at their very best and to cap it off their stupidity plunges into fresh depths in this telly series, where as Rabbit which is usually quite shrewd, comes across as a disturbed old aged male. Pooh’s real name is Edward Bear and he originally appeared in the books Winnie-the-Pooh (1926), and The House at Pooh Corner (1928). It is through these books that we get to know about the bear and his friends Eeyore, Kanga and Roo, Piglet additionally Rabbit and Owl. Owl and Rabbit are the two real animals in the group thus have their own minds. Pooh sports a growly voice and undertakes stoutness exercises. It is well known that Pooh is quite fond of honey, sans brains, some what a coward yet absolutely affable. There are subtle differences between Disney’s Pooh and AA. Milne’s Pooh and its not easy for children to relate to Milne’s Pooh once they have grown seeing Disney’s version of Pooh. Pooh originally was a subtler bear. Colored illustrations depict him to be a muted bear with shade of orange, smudged with black color. He seems to be curious as well as sympathetic. Overall it shall need much more energy and time to come to terms with what Pooh we have come to know and what Pooh and his friends really Milne originally created. Pooh is a lot more different and if you do read the books you will know that there is a vast difference in the original and the contemporary. And then you will know why I consider Disney’s version a Sham-Pooh.